To improve learning experience among kids, SMARTKiDZ is adopting new methodologies while ensuring the safety and security of children says A S Ganesh, Founder & Managing Director, SMARTKiDZ Educare India Pvt Ltd in an interview with Elets News Network (ENN). What according to you is the next big revolution required to change the education in Preschool Business? The change in education system is a continuous process. The main focus should be on skill based education rather than focusing on teaching and testing knowledge at every level. Indian education system is built on the presumption that if something is good for one kid, it is good for all kids. As children are diverse learners, they learn and develop at their own pace. Our testing and marking system need to be built to recognize original contributions, in the form of creativity, problem solving, research and innovation. Greater attention should be paid to the child’s physical needs, with greater use of the out-door activities. Though rote learning is very important at this age, certain concepts memorising and learning it by heart doesn’t lead to learning things. Cooperation between school and home will fill all needs of the child’s development such as music, dancing, play and other extra-curricular activities. We need to ensure that we get smarter people to teach. India needs to embrace internet and technology if it has to teach all of its huge population, the majority of which is located in remote villages. Teachers will inspire a desire for knowledge, and will serve as guides in the investigations undertaken, rather than as task-masters. Now that we have computers and internet, we need to invest in technological infrastructure that will make access to knowledge easier than ever. How Apps are useful in making communication between schools easier and better? Mobile apps make communication much easier. Apps can also increase parents’ participation in their children’s education, which in turn increases students’ interest in their learning. Communication through apps increases parents understanding of classroom procedures, philosophies and policies. Parents then feel more involved in their child’s school and more connected to the teacher. In general, communication improves parents’ attitude towards conferencing with teachers and administrators. This style of communication allows more asynchronous communication and greater flexibility. With online communication, parents can initiate conversations and express concerns to teachers and school officials easily. What importance does security of children hold in preschool space? What latest measures are taken by Preschool to ensure safety of students and to inform parents about their children’s wellbeing and progress? Just like adults, children need environment that help them feel secure. Children depend on adults to meet their basic needs for food, water, shelter, and clothing. They also depend on us to protect them from harm. Feeling safe allows children to build relationships, become confident, and meet their potential. We cannot expect children to learn if they do not feel safe. As staff members, safety is our top priority. Maintaining safe adult-to-child ratio will ensure continuous supervision and accountability of the adult. The safety of Preschool includes providing safe indoor and outdoor environments for children’s development and learning. We need to ensure that we provide safe toys and materials. Keeping all the trainings and instructions in mind we need to ensure that we get them prepared to respond to injuries and constant supervision is the best tool for preventing injury. What are the growth opportunities for preschool franchise and which regions of the country project growth for preschool franchise? 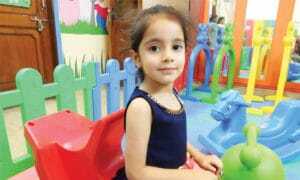 The preschool market in India has enormous potential. In present scenario, less than 8% of the children aged between 2 to 5 years are enrolled in branded pre schools. The Preschool market is growing at the rate of 35% annually as against the Education Industry growth of 15% per annum. 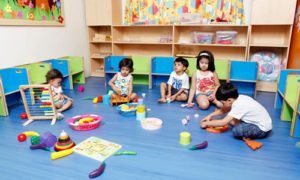 The awareness in the tier-2 and tier-3 cities is gradually increasing and thereby the demand for preschools is also increasing. We focus and expect higher growth from the tier-2 and tier-3 cities. How does Preschools help in the growth of the children and what are the basic principles that a preschool shall adapt to have a successful institution? 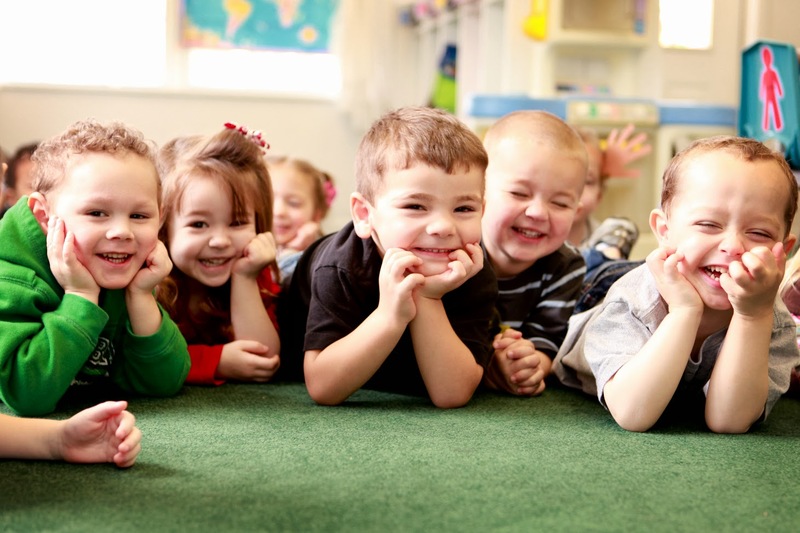 Preschool provides a foundation for learning both socially and academically that will help child succeed in primary, secondary and high school education. For many children, preschool is their first experience in a structured environment with teachers and peer group. It’s an opportunity to learn, to share, follow instructions and begin the foundation for learning and show growing interest in pre-math and pre-literacy skills. From 3 to 5 years of age, children’s vocabulary grows from 900 to 2,500 words and her sentences become longer and more complex. In a conversational manner and without dominating the discussion, teachers help children stretch their language skills by asking thought-provoking questions and introducing new vocabulary during subject, art, snack time, and other activities. Children have many opportunities to sing, talk about favourite read-aloud and act-out stories. Teachers observe, ask questions and listen to children’s ideas during these activities and getting correct answers are not the goal. To nurture their curiosity and motivation to learn, teachers use children’s interests and ideas to create activities. A preschool going child is able to spend time away from parents and build trusting relationships with adults outside the family.